If you’re planning to hire a live band, you’re in for a legendary party. Before the big day, however, there are some logistics to take care of. Silk Street is the home of outstanding UK events entertainment. 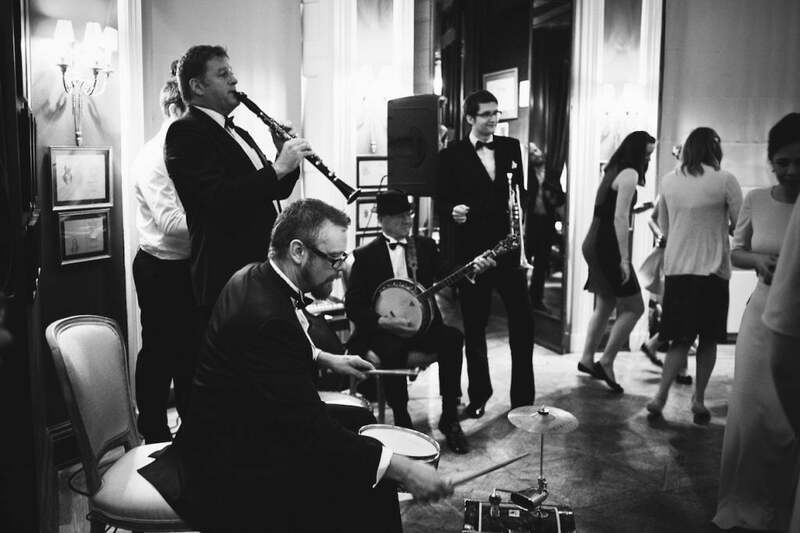 Silk Street Jazz are one of our premiere acts, performing at weddings, corporate events, and parties all over the UK. If you want to book them for your event, here’s how to make sure it goes off without a hitch. We always recommend people book their venue and secure a date before they book with us, because it saves a lot of fuss later. It allows us to plan logistics and give you an accurate quote. Some venues will have rules about noise, and the use of amps and electronics. Let us know in advance and we can generally work around it with some planning. If we don’t have enough notice, however, it can cause problems. If you look after the band well, they’ll be in a great mood when it comes to their performance. Make sure they have access to parking, refreshments, and their own separate space to relax before and after the performance. Their performance area needs to have plenty of room (a double bass takes up quite a bit of space). It doesn’t need to be a stage – not all venues have one – but a cramped balcony definitely won’t do. Give them time to warm up and give them cover if there’s any chance of rain. Instruments don’t get on with the cold (neither do musicians! ), so we don’t recommend outdoor performances unless the temperature’s comfortable. It’s not a good idea to spring a surprise song request on your band. If you want anything specific – whether it’s attire, a song, or a start time – let us know in advance. With plenty of notice, we’ll be able to confirm it or give you an alternative if it’s not possible. Our band have a huge repertoire of music ready, but their improvisation skills only go so far. Let us know in advance if you’d like a specific medley. Sometimes things don’t go quite to plan, or plans change very suddenly. If there’s a venue change or a possibility the event could run late, this could carry some extra costs. The band need to know in advance so they can make arrangements, change their lineup, or change their set list. If you’ve seen our videos, or one of our performances at a friend’s wedding, you might expect to see the exact same musicians when you book us. Because of costs and logistics, that’s not always the case. In case of illness or unavailability, we always have stand-ins ready for bookings, so the lineup tends to be flexible. All our musicians are professional and play brilliantly together, so you’ll be too busy dancing to notice. Silk Street Jazz have been playing together since 2003, performing on TV, and for celebrities and VIPs, including Her Majesty. They’ve also been a crowd pleaser at weddings, corporate parties, and birthdays for 15 years. 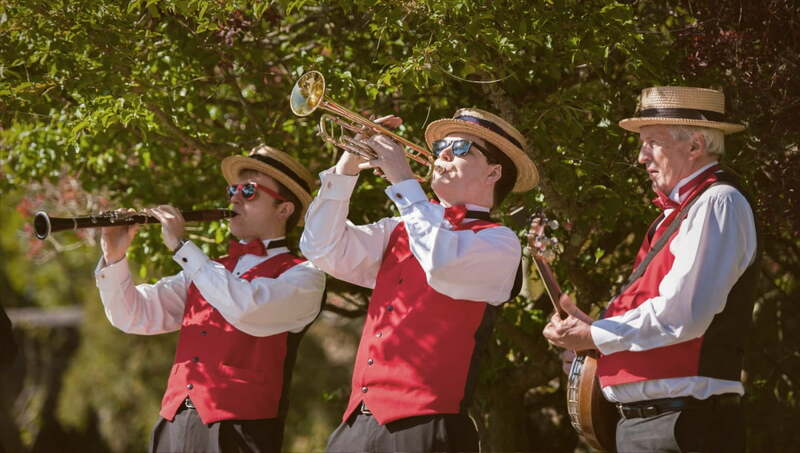 Hire a live band with experience, class, and pizzazz. Contact us for details and availability.